The Center for Economic Development was established in 1977 as a public service branch of the School of Management at the University of Massachusetts, Amherst. Affiliated with the Economic Development Administration, U.S. Department of Commerce, it was created as a community-oriented technical assistance center. As an EDA designated "University Center", its mission was to help rural areas, small towns and other distressed regions and locations to become invigorated and self-reliant. In July 1988 the Center moved to the University of Massachusetts' College of Food and Natural Resources and became a part of Cooperative Extension. This move provided a highly appropriate and more productive linkage. The EDA mission, with its targeted emphasis on small towns, "troubled" areas, capacity building, development of local skills and expertise, and development of local and state leadership and resources is completely in keeping with the College's mission. As well, the College has the capacity to draw upon the entire University, enterprises from around the Northeast community development agencies and organizations, and the specialized skills and expertise of its own professional staff. In July 1990 the Center, while still in the College of Food and Natural Resources, moved to the Department of Landscape Architecture and Regional Planning. This Department, with its long tradition of outreach to Massachusetts' cities and towns, is well suited to meet the Center's mission, goals and objectives. As a case in point, its faculty and students have worked on economic development issues in more than 210 cities and towns in the past nine years. Its faculty has specializations that include industrial development, retail/commercial development, tourism, marketing, quantitative analysis and data analysis. The move to the Department also broadened and redirected the Center's efforts to involve College faculty, specialists and graduate students. It enabled the Center to bring new techniques and technologies in economic analysis and planning development to targeted regions throughout the state, to pilot new research and analysis tools for community based development, and to provide strategic analysis and technical assistance to targeted sectors. 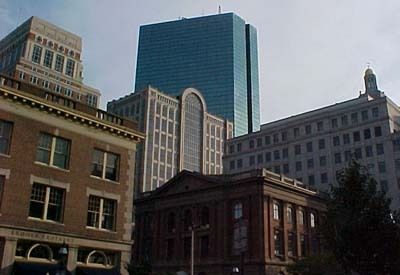 The Center now provides "cutting edge" information, analysis, tools and methods, and assistance to enhance local and regional economic development, and to help bring about an informed, skilled public with capacity for economic planning and development that serves the towns, regions, and the Commonwealth of Massachusetts. The Center's role is to provide technical assistance to communities, undertake critical community based studies, disseminate information, and to enhance local and multi-community capacity for strategic planning and development. This approach is designed to relate the concerns and goals of commerce and industry to those of the broader community. The Center can then work closely with both community and business sectors, providing information and assistance needed for growth, management, and public benefit. A simple listing of the Center's clientele and cooperators shows that the Center does indeed work well with all sectors: community development corporations, state agencies, municipalities, regional planning agencies, developers, business leaders, chambers of commerce, local officials, public groups and the managers of firms.